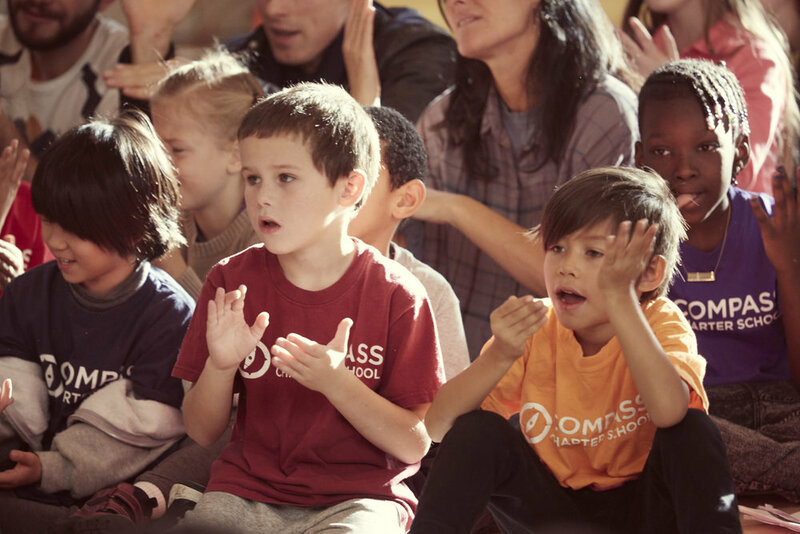 Compass Charter School is a new, progressive, public elementary school that opened in the Fall of 2014. Our inquiry-based, integrated curriculum focuses on sustainability and the arts. We believe that children learn best when they engage in hands-on and playful experiences that are as authentic as possible. Compass Charter School is a safe and nurturing educational environment that honors the individuality of each learner. By engaging in a process of inquiry, our graduates will be equipped with the necessary skills to lead fulfilling personal and professional lives, including a developed sense of self, the ability to think in innovative and flexible ways, and the inspiration to make a positive impact on their community. Are you a current family looking for resources and information on the 2017-2018 school year? Are you a prospective family looking to apply to Compass Charter School for the 2018-2019 school year?